This is the most recommended first food for babies in the United States. You can find it in a cardboard box with the baby food at the grocery store. It is a good choice for a first food because very few people have an allergy to rice and rice cereal is easily digestible. 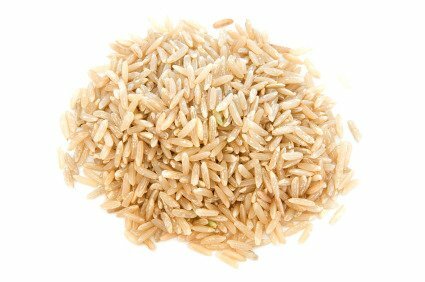 In addition, rice cereal is fortified with iron because it can be difficult for baby to get enough iron in his first year. Rice cereal is also easy to make because it is already cooked and dehydrated. Just mix it with water, breast milk, or formula to a very soupy consistency. Your baby might stick out her tongue or gag when she first tries the cereal. There is a lot of coordination required to move food from the front of the mouth down to the throat, and this is the first time your baby is attempting the maneuver. Be patient and if it seem too difficult for her, try again in a few days. Please see the First Feeding FAQ section of our website to help set your expectations appropriately. It is not recommended to make your own rice cereal because the cereal that you cook will not be iron fortified. Frankly, most of us don't have time to make our own cereal, but we have included the recipe for those industrious care-takers that might hate the taste of boxed, dehydrated, iron-fortified cereal. You might find that your baby likes your homemade cereal better. You will find it in boxes next to the jars of baby food in your grocery store. Mix with warm formula, breast milk or water. To start one tablespoon of cereal for 4 tablespoons liquid. For the first month experiment with different consistencies - at first very runny and then thicker as you go. 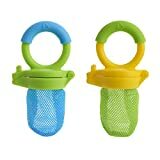 See what your baby easily swallows as he/she learns how to swallow solid food. Bring liquid to boil in saucepan. Add the rice powder while stirring constantly. Simmer for 10 minutes, whisking constantly, mix in formula or breast milk. Serve warm. This will keep for 72 hours in the fridge or you can freeze it in cubes to serve later. Please see our Making Baby Food section for information on home made baby food storage. In a dark cupboard it will keep for months. No. But, you will see jars of food mixed with rice. Yes. This is a small extra cost - an your baby is so little that you might as well ensure that there is no possible pesticide residue in this food. A very easily digested first food that babies like because it is sweet. It also has a wonderful package, the peel, so it can be taken everywhere. Bananas are the most eaten fruit in the United States. Mash a ripe banana and mix with liquid (water, formula, or breast milk) to make your babies' favorite consistency. 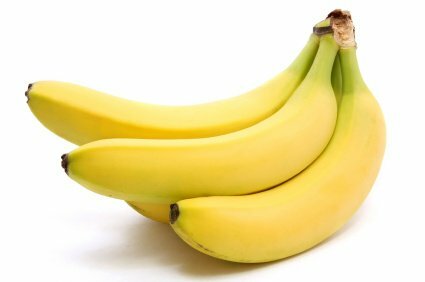 Look for bananas that are yellow and not very green (they may not ripen at home) and with no bruises. In addition, there are different varieties of bananas that are out there that you might like to try. There are red ones, and small yellow ones and they can have wonderful flavors. Give them a try! Just mash with a fork and add liquid to adjust to a good consistency (loose for the beginning swallower). You can use formula, breast milk or water. Store on your counter top until ripe. There all also baskets that you can hang from your ceiling that can be good space savers as well as banana hangers for your counter top. Yes - but it seem ridiculous to buy a jar when a fresh one is so easy to find. No. Tough skin protects fruit from pesticide contamination. What do you do with too many ripe bananas? Especially since your baby is probably only eating one teaspoon a day of the stuff - make banana bread - yum! Preheat over to 350 F. Grease a loaf pan. Mix together the dry ingredients and soften the butter in the microwave. Mix bananas, eggs, butter, and vanilla into the dry ingredients just until cohesive (do not over mix). Bake for 45-60 minutes until browned. Use the toothpick or fork method - insert toothpick in center of bread and it should come out mostly clean when done. These new foods are also constipating. If you find that your baby is having trouble pooping, just start some other new foods and lay off the bananas and rice cereal until they get regular again. Add back these foods in small quantities.